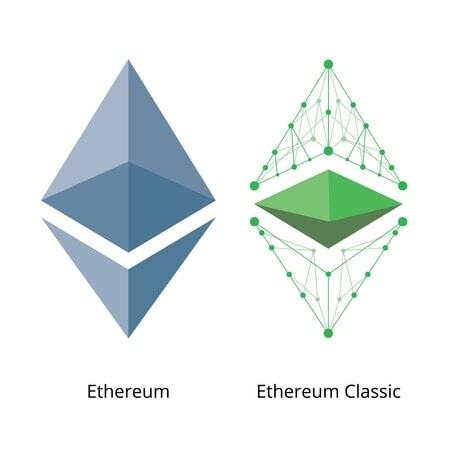 The cryptocurrency Ethereum Classic (ETC) is a fork of the legacy Ethereum (ETH) network as the blockchain had split on July 30, 2015, due to contention over the hard fork that took place that day. ETC is just like ETH as it is open-source, a public blockchain and also has smart contract (scripting) functionality while providing a Turing-complete virtual machine. ETC is also the first high profile fork that created another coin and network before the August 1 Bitcoin Cash event. The fork that took place in the summer of 2015 was controversial because the Ethereum (ETH) developers planned to reverse the DOA hack a faulty decentralized application (Dapp) built on top of the network. Those who disagreed with this fork (roughly 15% percent of the ETH hashrate) chose to split that day before the reversal in order to remain immutable. The blockchain split took place at precisely block height 1920000 and everyone who owned ETH before this period received one ETC. As mentioned above there are not that many differences between both networks functionality but as far as adoption, hashrate, and development ETH is by far larger. For instance, the inventor behind the original ETH protocol Vitalik Buterin is not involved with the ETC project. However, another co-founder of the ETH project and the well-known cryptographer Charles Hoskinson (also the inventor of Cardano ADA) had backed ETC development in 2016. Hoskinson even introduced the ETC platform to executives at Microsoft a tech giant who is very interested in blockchain technology. Another staunch supporter of ETC is the founder of the venture capitalist firm Digital Currency Group (DCG) Barry Silbert. DCG’s subsidiary Grayscale Investments the trustee of the first publicly tradable Bitcoin Trust has added ETC to their new line of exchange-traded fund subsets. Lastly, at this year’s Consensus Conference Silbert’s DCG, Digital Finance Group (DFG) and Jack Lee announced the incubator Ethereum Classic Labs. The incubator received $50Mn USD and its focus will be on developing the growing ETC infrastructure. “Ethereum Classic Labs is sure to attract talented blockchain developers which can only strengthen the ETC ecosystem,” Charles Hoskinson stated after the ETC Labs announcement was made. Today ETC’s market capitalization is around $1.5Bn USD and the cryptocurrency is the seventeenth highest valuation. ETC investors believe the coin is a good investment because it’s like getting in on Ethereum before its immense price spike. At the time of publication ETC prices hover around $15.50 USD and has seen roughly $174Mn worth of 24-hour trade volume today. In May of last year, ETC was around $7.50 per coin so Ethereum Classic holders would have doubled their investment since last year which indicates ETC is a growing cryptocurrency ecosystem. Lastly, another good announcement for ETC that took place this week was when the financial market’s operator for 10,000 U.S. and global securities, OTC Markets Group Inc. (OTCQX: OTCM), announced the launch of the Ethereum Classic Investment Trust (OTCQX: ETCG). This means retail and institutional investors have another open-ended trust that is invested exclusively in Ethereum Classic according to OTC Markets Group. An Immutable Ethereum. ETC is considered the immutable Ethereum as it did not roll back the DAO incident in the summer of 2015. Features. ETC has the same scripting and smart contract abilities like Ethereum. Development. Charles Hoskinson is a very well respected cryptographer and developer who has backed ETC to some degree. ETC also has a faction of developers who’ve worked on the project since the fork on July 30, 2015. Additionally ETC further has the recently introduced Ethereum Classic Labs which will likely spur more development teams. Coinmama chose Ethereum Classic because its a popular cryptocurrency investment and many digital asset proponents believe it has an ambitious development roadmap. ETC is available for Coinmama users today and can be purchased quickly and effortlessly with our package offerings. Check out our ETC packages today priced in USD and EUR!